The final SP count... "Can this really be all!?" 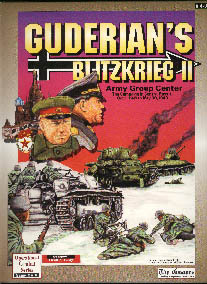 Generaloberst Heinz Guderian's 2.PzG (soon to be "upgraded" to PzArmeé) in it's assembly area some 40 miles northwest of Konotop. 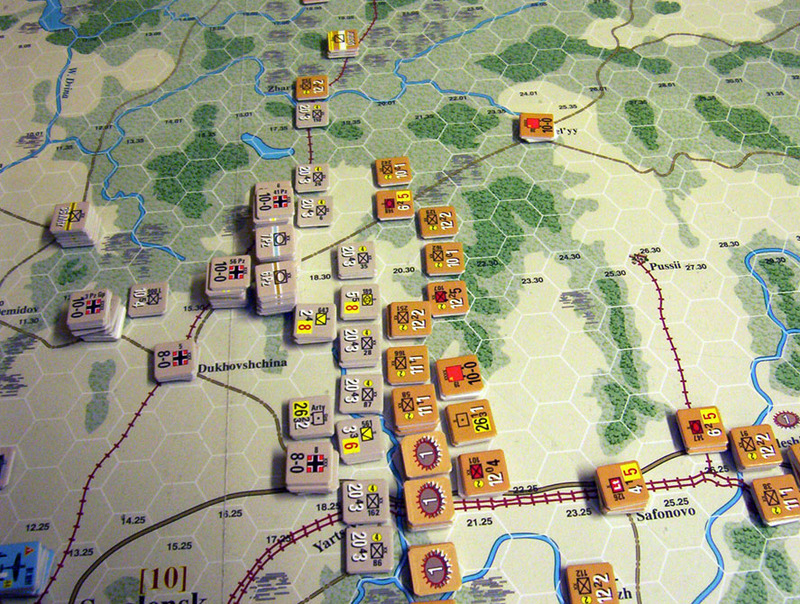 Two Panzer Corps, the XXIV and XLVII stand ready to make their dash to Orel. 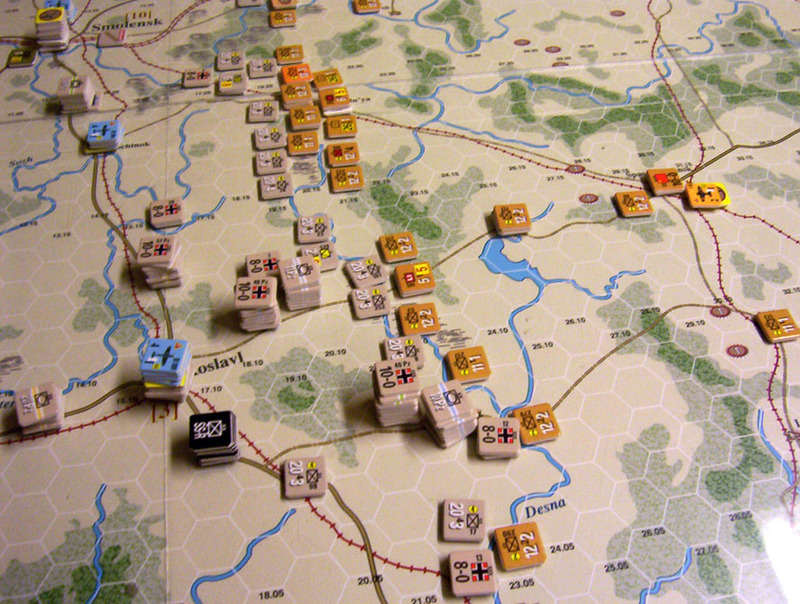 4.PzG under Generaloberst Erich Hoepner, in the vincinty of Roslavl are to capture Spas-Demyansk and then link to up with Hoth's 3.PzG at Vyasma. Additionally 4.PzG are expected to cut the Kaluga-Bryansk railroad at Sukhinichi. 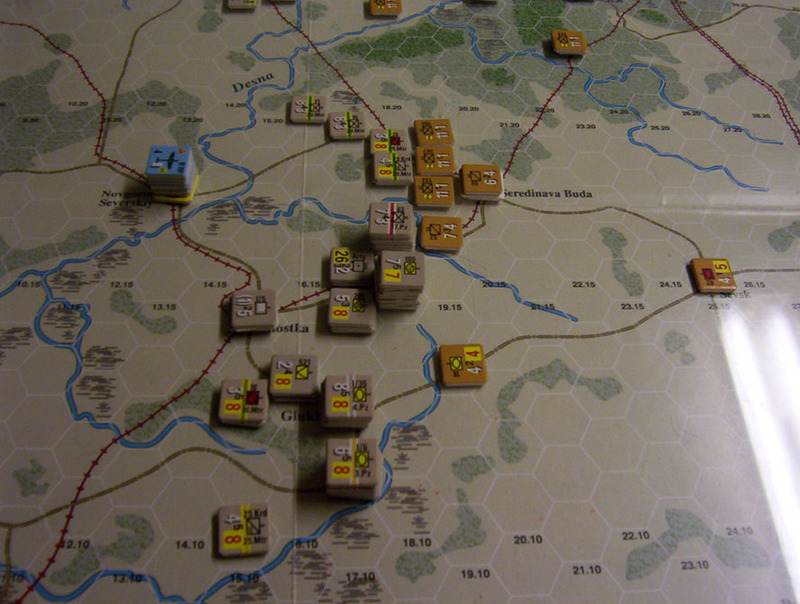 Generaloberst Hoth's 3.PzG ready to penetrate the Soviet fronline at Bel'yy and enter the rear area of Konev's West Front north of the Smolensk-Moscow Highway. Army Group Center's left flank east of Star'aya. 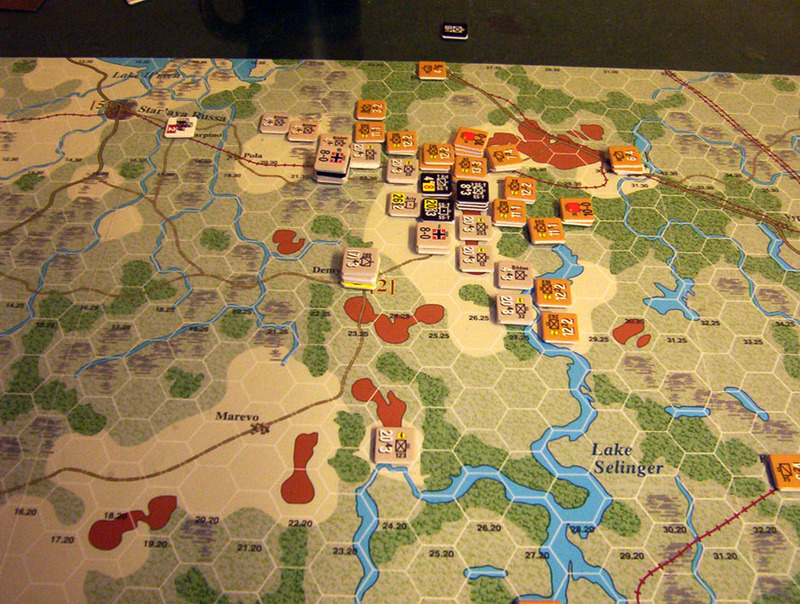 The German advance has stalled.